Dance Classes Reston: Why You Should Start Dancing Today! If you’ve ever watched people dance, you probably noticed that most of them seemed really happy. Turn on Dancing With the Stars and underneath the sweat and makeup you’ll always find smiles. Have you ever wondered why that is? It’s simple: dancing is good for you, and things that are good for you tend to make you happy. At Fred Astaire Dance Studio in Reston, we teach many different styles of dance that will get you moving, help you get healthy, and that are all but guaranteed to put a smile on your face! Read on to find out why dancing is so good for you or get in touch with us today to take a tour of our dance studio or sign up for some dance lessons! Studies have shown that dancing can have very positive effects for everyone’s balance, including elderly people and people living with Parkinson’s Disease. These benefits extend beyond balance and into other areas of movement, including your walking speed, better alignment of the hips and body while walking, and fine motor skills. Other studies have observed improved reaction times after those in the studies had practiced dancing but perhaps most stunning of all, dancing has been shown to help people suffering from anxiety, stress, and depression. 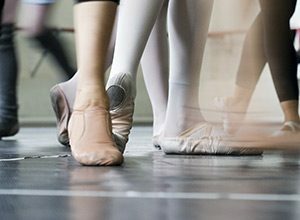 While it has many of the same benefits on these mental illnesses as other forms of exercise, dancing can be especially helpful because it encourages people to be social and because it can very quickly help improve self-esteem. There is some scientific evidence that suggests that regular aerobic exercise (like dancing) can not just stop but reverse the loss of volume in the hippocampus — the area of the brain that is in charge of memory. One study even found that dance was a great way to control “emotional eating “ in women who, when they’re stressed out, turn to food. Call Us Today For Dance Lessons! One of the most important benefits of dance, and one that can’t be overlooked, is the fact that it is fun. Fun activities are activities that we are much more likely to repeat, and repeating healthy behaviors is the best indication of the success of any weight-loss or stress-reducing behavior. We’ve all probably failed to go to the gym as often as we think we should because it isn’t fun like dancing is. When you make your exercise fun, it is much easier to do! If you’re ready to improve your life, call us at Fred Astaire Dance Studio in Reston! We have a beautiful dance studio where you can take dance lessons in tons of different dance styles including the waltz, rumba, salsa, tango, mambo, and many others! We have dance classes for every age and skill level and we offer fun social activities where you can get together with other people and show off all of your new dance skills! Get in touch today to get signed up!